Have questions about insulation that you need to clear up? Below, we’ve listed common questions, which we hope will help you out. If you can’t find the answer to your question, don’t hesitate to contact us! 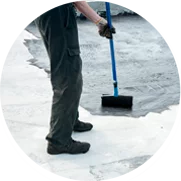 What are the insulation materials I can use? Insulation works by resisting heat flow, which increases your home’s energy efficiency and helps reduce your monthly bills. How it stops heat transfer depends on the type of insulation – for instance, radiant barrier, which is installed in attics, reflects the energy from the sun, while fiberglass traps warm air. How much insulation should I install? A professional insulation company can also help you determine where you need to insulate and which type(s) of insulation would be the most suitable! How do I know where I need to insulate? How does insulation reduce noise? Limiting the transmission of sound from one area to another requires a material that encloses the source of the noise, forming a barrier between the source and the adjacent area. This is what insulation does! Fiberglass and cellulose are the best types of insulation for soundproofing purposes. How do I know if I need to re-insulate? Why is cellulose considered environmentally friendly insulation? Cellulose insulation is considered one of the most environmentally friendly types of insulation available. It takes less energy to make than other materials. It is also made mostly of recycled paper (mostly newspaper), which typically comes from community recycling programs. Otherwise, this paper might end up in landfills and release greenhouse gases as it is decomposed. If you used the paper put into landfills each year to make cellulose insulation, it would save about eight million tons of CO2 emissions. How is new construction insulation different than re-insulation solutions? New construction or new build insulation is installed during construction of a home, whereas existing home insulation, retrofit insulation or home remodeling insulation, is installed in a home that has already been built. Blanket insulation can be made up of rolls or batts, and it’s one of the most commonly used types of insulation. 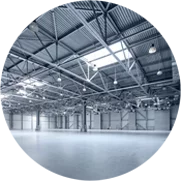 It is mainly installed in spaces that are relatively free from obstructions. Retrofit insulation refers to re-insulating an existing home. You can retrofit a home with any of the materials you would use in a new construction insulation project—fiberglass, cellulose, spray foam or radiant barrier insulation. What is the best insulation for soundproofing? Loose-fill cellulose and fiberglass are the best insulation materials for soundproofing. How much can insulation save? It’s difficult to determine exactly how much insulation can save based on a universal scale, but homeowners can save a lot of money each year by installing insulation! Re-insulating is a good way to help maximize your home’s energy efficiency. Specifics about how much energy you can save with insulation depend on where you live, the size of your house and more. How do I find the right insulation company? Cellulose and fiberglass have similarities, but they are two different types of insulation. The main differences are the materials they consist of as well as their R-values and weights. How do you insulate a crawl space? If you have a ventilated crawl space, our insulation contractors can insulate the subflooring and between the floor joists. If your crawl space is unventilated, it’s generally recommended to insulate the foundation walls. Whether your crawl space is ventilated or unventilated, sealing is extremely important. Air sealing and insulation are services that often go hand in hand because air leaks can compromise the performance of insulation. Insulation is available at home improvement and hardware stores, but we think you should contact a local insulation company! 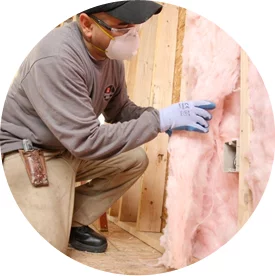 This helps ensure the insulation is installed correctly and safely and ultimately does what it is meant to do—help increase the energy efficiency and comfort of your home. With a custom closet design and high-quality storage solutions, you can save an incredible amount of space, which ultimately saves you a lot of a time. A well-organized closet can also help raise the market value of your home. Didn’t find the answer to your question? Get in touch with us by filling out this form!